David Held is Master of University College, Durham and Professor of Politics and International Relations at Durham University. He holds a PhD in Political Science from the Massachusetts Institute of Technology. 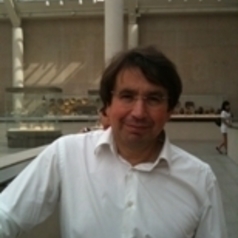 He is Director of the Institute of Global Policy, Durham University and Visiting Professor at LUISS University in Rome. He is author of more than 60 written or edited books and of an extensive number of academic articles on democracy, democratsation, globalisation, global governance and global policy – over a 25-year period. David has wide ranging teaching experience at a diversity of university levels, including developing and implementing new degree programmes at both undergraduate and postgraduate levels in both leading research-driven universities and at the Open University, UK. David also has far reaching administrative and management experience in both universities and the private sector. Founder and Director of Polity Press, the Durham Global Policy Institute and the Wiley-Blackwell flagship journal, Global Policy. Among his most recent publications are Beyond Gridlock (2017), co-authored with Thomas Hale, et al, Gridlock: Why Global Cooperation is Failing When We Need it Most (2013),co-authored with Thomas Hale and Kevin Young, and Cosmopolitanism: Ideals and Realities (2010). His main research interests include the study of globalisation, changing forms of democracy and the prospects of regional and global governance.